Premier David Burt has been hit again by Instagram scammers. A fake social media account has been set up in his name on that platform. It is at least the third time since November 2017 that a fake Instagram account has been posted using the Premier’s name. This one has 67 followers but has followed 433 people. It posted 13 photos to the account yesterday, which constitutes all the pictures on the account. The account has duped at least one political activist into following it, and one photo has garnered 20 likes. 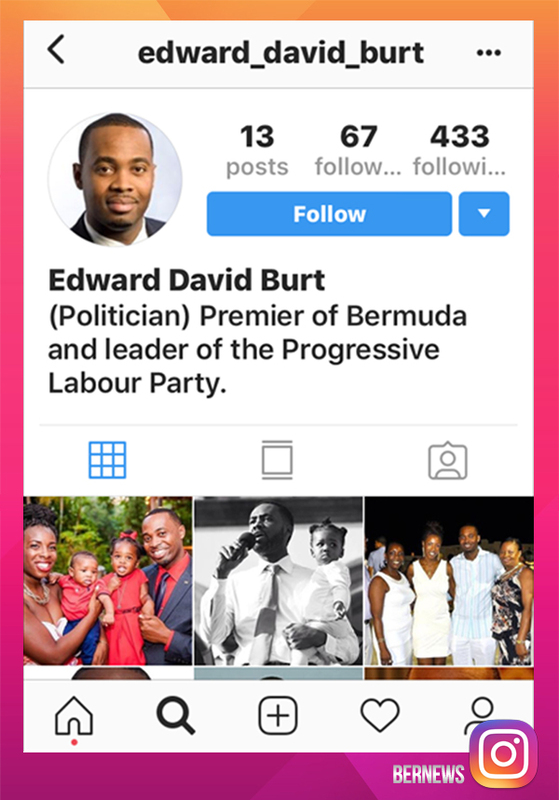 Premier Burt’s real account uses davidburtmp as its Instagram name and is followed by 3,320 people while only following 116 people. Now I would have played along joined in and worked the inside…oh yeah…tell me more.